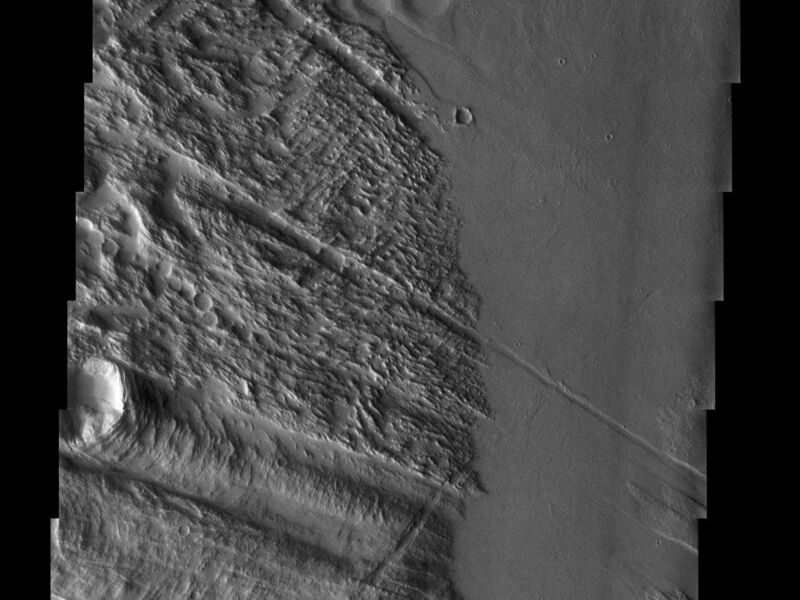 Roughly halfway between the great volcanoes of Olympus Mons and Pavonis Mons, the graben (troughs) of Ulysses Fossae intersect with the furrows of Gigas (gigantic) Sulci. 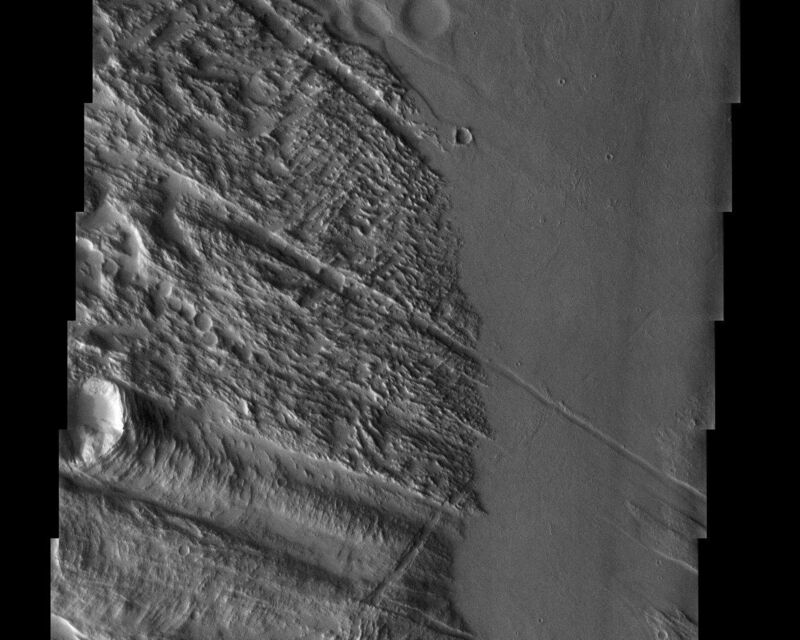 A clear time sequence is evident: first came the formation of the sulci terrain (to the left), which then was fractured by graben radial to Olympus Mons, followed by flooding of lava. 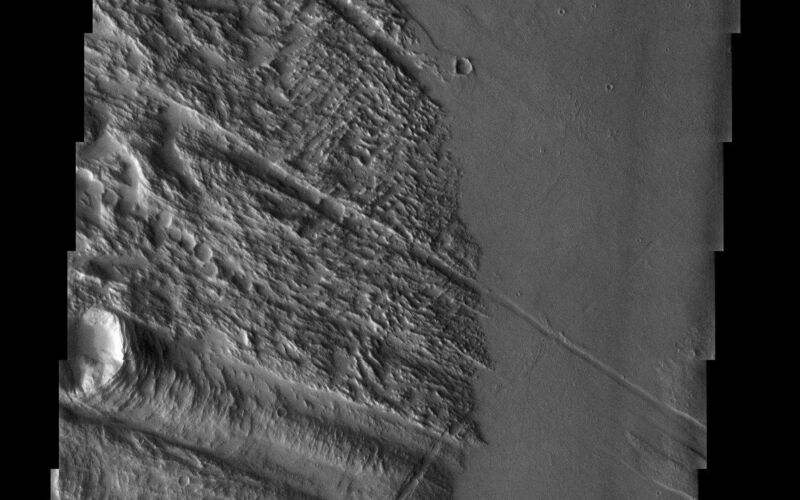 All but the deepest graben are filled by lava in the topographic low between the two volcanic rises. Image information: VIS instrument. Latitude 11.8, Longitude 234.3 East (125.7 West). 19 meter/pixel resolution.